Politecnico di Torino considers the development of partnerships with firms and organizations interested in process, product and services innovation as a fundamental element of its mission. Many different types of collaboration can be undertaken and it is very important to emphasize the value of research outcomes and of industrial and intellectual property. Every year, Politecnico files new patent applications for around 30 inventions, whose descriptive content is constantly published in this section of the web portal, supporting the collaboration between its research groups and companies in order to enhance the impact of scientific activities on the economic and social environment, also through the licensing of its own patented technologies. 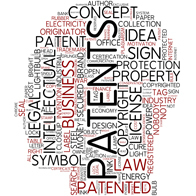 Patenting highlights the inventive contribution of researchers. A specific Patent Commission and the staff of the Technology Transfer and Industrial Liaison Department at Politecnico di Torino assist inventors in all aspects of technology transfer: from the patent application phase, to the external proposal of protected technology, and also in the commercialization and licensing of patents. The portfolio of inventions patented by Politecnico is fundamental in establishing technology-transfer processes to the benefits of companies.